Do I Need a Lawyer for my Wake County Speeding Ticket? An experienced Raleigh traffic ticket lawyer is familiar with the local district attorneys, judges, and rules of court. If you have not at least gotten some consultation with an experienced traffic lawyer, like Wiley Nickel, you are subjecting yourself to the unknown. There are many options available to you, just as there are various consequences depending on the way you go about handling your ticket. A traffic lawyer can help you decide which route to go that will best suit you personally with a goal of making sure your insurance doesn’t go up. Do I have to show up for Traffic Court in Raleigh? Shouldn’t I just pay the money? You likely do not have to show up for court if you hire an attorney, but if you pay your speeding ticket fine by mail you admit to guilt; which results in a conviction of whichever charge has been issued on your ticket and likely a suspension or an increase in your car insurance. 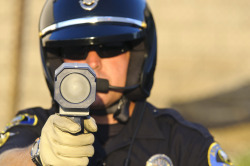 You should never simply pay a ticket without first consulting with a traffic lawyer. A lawyer can explain the best options and help keep you from any lasting consequences. It is best to speak with an experienced traffic lawyer before making any decisions so that you will know that your case is handled correctly. Peace of mind is a wonderful benefit of this process! Knowing what the possible outcomes or consequences might be beforehand will help you be prepared and keep you at ease. We often deal with the bad results of people handling tickets improperly on their own and the legal costs are much higher to fix a mistake done by someone representing themselves than if they had just hired a lawyer to begin with. Can’t I Save Money by Doing This Alone? There is a reason that people pay traffic lawyers to handle their speeding tickets. Mistakes and bad decisions can result in a costly increase in insurance premiums. It is important that an experienced traffic lawyer take a look at your DMV record and driving history to avoid any extra fines or an increase in your vehicle insurance. Raleigh Traffic Lawyer Wiley Nickel wants to help you handle your speeding tickets in Wake County! If you have gotten a speeding ticket in Wake County, please call (919) 948-7159 to speak to The Law Offices of Wiley Nickel. We want to ensure that your Wake County speeding ticket is handled correctly and efficiently with the least amount of stress on you! Let us help you gain peace of mind and avoid unnecessary consequences. Our office is centrally located in Cary, NC and we offer free initial consultations.